A 90 day trial of our EC3 software includes a tutorial and free technical support. You can activate an annual subscription of EC3 by key code should you choose to purchase it. An annual subscription to EC3 includes tutorial and sample data, free remote user training, free unlimited technical support, and free product upgrades and bug fixes. Consumer Profile: provides a single, convenient location to enter and view a wealth of personal information about consumers such as address, phone numbers, social security and medical numbers, date of birth, guardianship information, diagnostic information and much more. Education: schools and dates of attendance, status, school information. 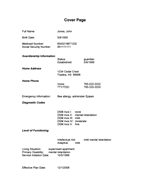 Employment: work site, employer information, job description. Medications: A single source for the consumer's current and past medications, including dosage, side effects, pharmacy, and prescribing doctor for each medication. Relationships: provides a place for contact information about all the important individuals in consumer's lives (e.g. parents, teachers, doctors). Notes: enter progress notes, record visits and meetings, document services provided, etc. Incidents: create, view, and respond to critical incident reports relating to your consumer. Service Participation: record details of services being provided. Consumer Forms: create, view, edit, and store documents related to a consumer. Use your own customized templates, or import a document. Planning Schedule: Initiate a consumer plan. Plan Text: Create planning documents which will be linked to a specific consumer plan. You may use a template you have created, import your last plan, or import another document. 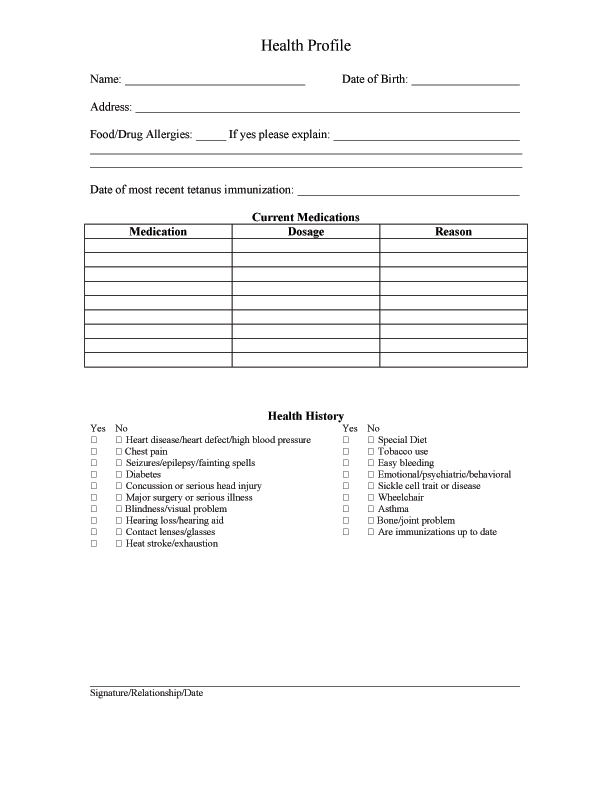 Cover Page: A customizable information sheet to provide an overview of information about a consumer. Target Skills & Services: Create detailed objectives for consumers, maintain data and analysis of progress. Skills and Services Wizard: Step-by-step assistance in creating a consumer objective. 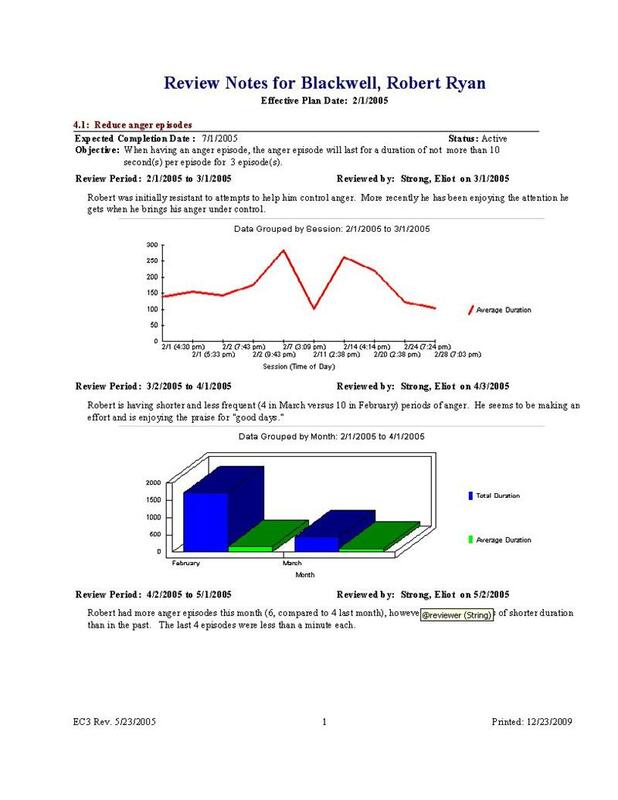 Data Analysis (part of Target Skills and Services): EC3 provides statistical analysis of your collected data, including graphing functionality. Plan Reviews: review of consumer plans on a schedule of your choosing: quarterly, monthly or other. Import your last review for a quick start. 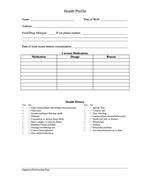 Agency Forms: Create or import your own template forms which can be used to create Consumer Forms or Plan Text documents. 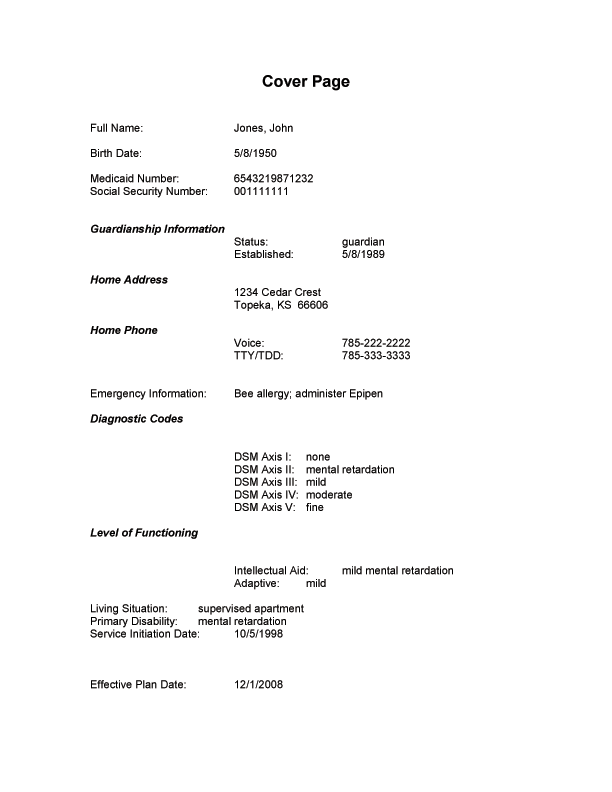 Resource Directory: Allows you to input provider and service information to be used throughout the program. Medication Library: A customizable listing of medications, including uses, usual dosages, side effects, etc. User Queries: Create custom searches for retrieving just the data you want from the EC3 database. 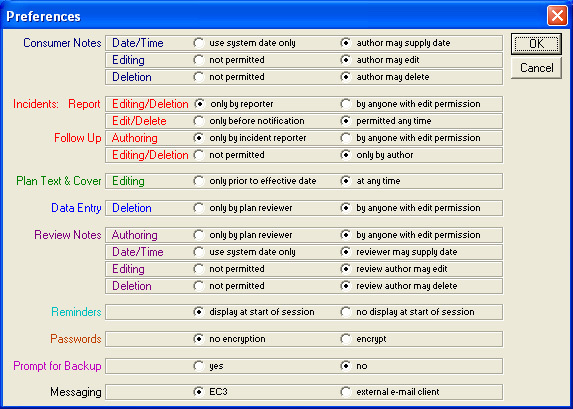 Preferences: Allows you to make certain choices about displaying and modifying information in EC3. Skills and Services Library: Allows you to customize entries that will be used by the Skills and Services wizard. Service Assignments: Assign specific staff members to specific consumers. User Profile: Allows you to store information about staff members who will using EC3, including setting their level of access (read-write, read only or none) for the various features of the program. You may limit a user's access to only their assigned consumers. 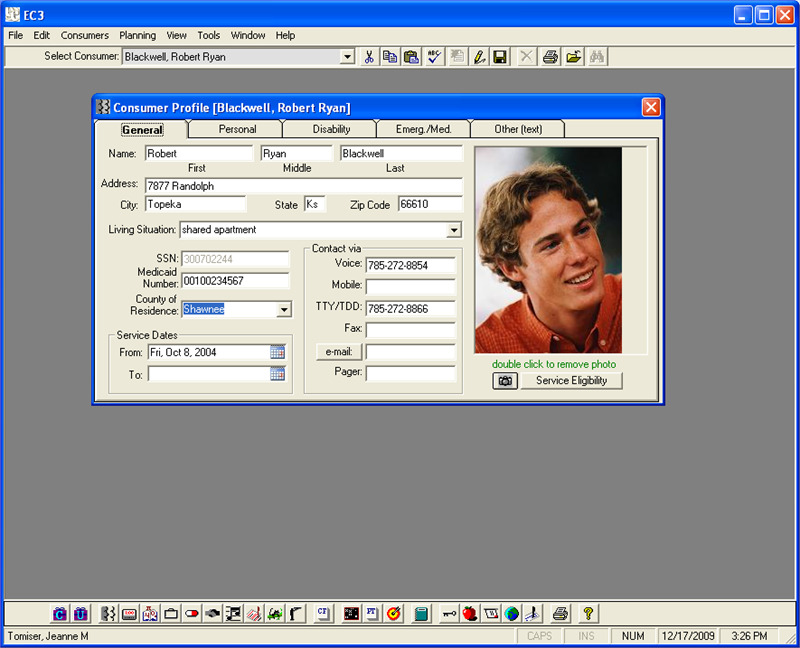 Users have password-protected access. 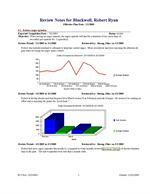 EC3 provides a large standard set of reports, designed with user input, which allow you to get your EC3 data on paper. All information put in EC3 can be reported out of EC3. 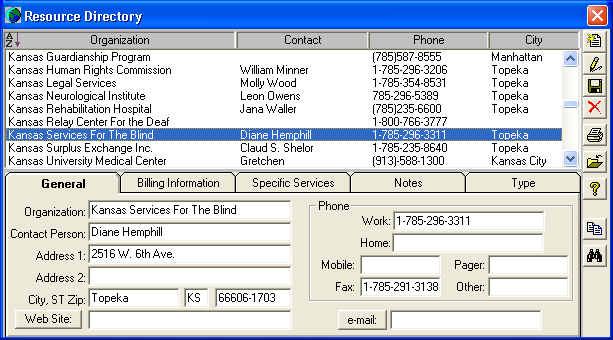 Phone and Online Support: Friendly and helpful support staff to help with anything from program installation to query design. Online Training: Get the most out of EC3 with our individualized online training sessions! Onsite Training: Prefer personal interaction? We offer onsite training sessions as well. Who typically uses EC3 Human Services Software? Program Directors, Service Coordinators (Case Managers, Qualified Mental Retardation Professionals) Team Members, Professional Consultants, and Data Entry Personnel. What is the cost of EC3? Cost of the product is scaled to the size of the organization and the number of active users. Please call or email us for an estimate. All licenses are sold on an annually renewable basis. The annual subscription price entitles the user to ongoing use of the product, unlimited technical support, long distance training and product updates. On-site training is available for an additional fee. Is EC3 secure and confidential? EC3 is password protected. No user may open the application without a valid user ID and password, granted by your local EC3 administrator. Your local EC3 administrator has control over which parts of EC3 a given user will see, and can choose to limit access to records of only those consumers that the user serves. What are the technical specifications for EC3? 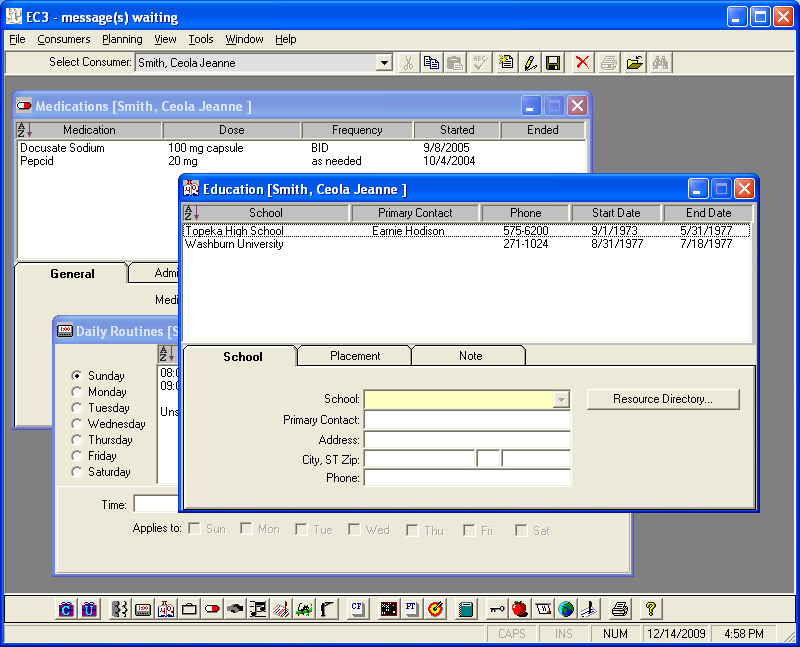 EC3 is a Windows application, and will run on any Windows PC. Most of our users currently rely on Windows XP, but EC3 users are beginning to make the switch to Vista and Windows 7. Initial installation of EC3 requires less than 100MB of disc space. Additionally, database space needs for large organizations serving thousands of clients can grow to 100MB or more. EC3 is currently being run on a variety of network configurations, including peer to peer networks and LANs, and on terminal servers. Most networked users rely on Microsoft or Novell servers. What technical support is available for EC3? All current EC3 subscribers receive unlimited free technical support. Our technical support staff is experienced in solving problems in the installation and deployment of EC3. Bug fixes of our current generation of software, should any be discovered, receive our immediate attention and are provided free of charge. EC3 is designed to be user-friendly and accessible. 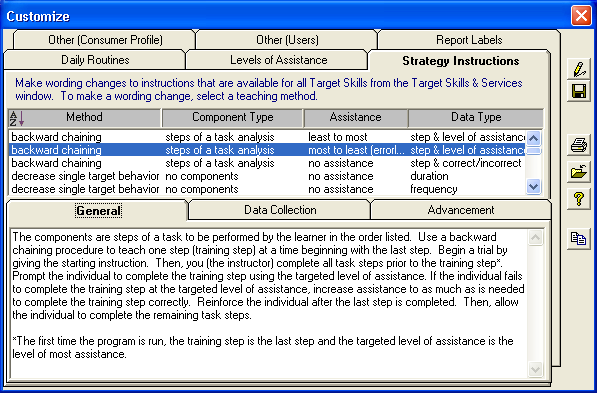 A user tutorial with sample data is provided with each installation. There is an extensive online Help file. EC3 Workshops are targeted online training sessions, which can be provided to introduce users to new features of the software, or which can be tailored to the needs of a subscribing organization. Can I try out EC3? EC3 may be purchased for a three-month trial period at a cost of $15. The trial version is fully functional and comes with sample data and a handy tutorial. The trial user who subsequently purchases EC3 can activate EC3 by merely entering a new product key.